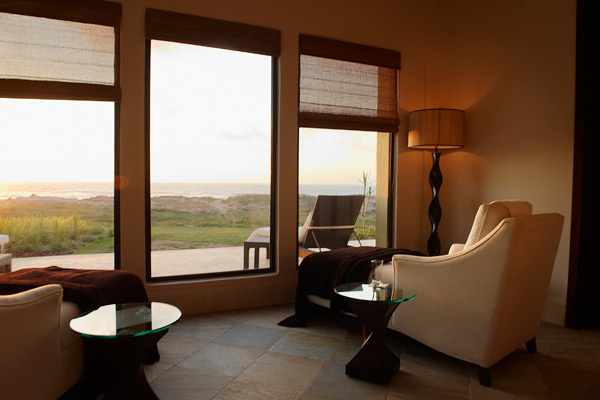 Nestled on a gentle slope amid the tranquility of the soft sand dunes of Mazagan beach and with stunning ocean views, the Spa at Mazagan each & Golf Resort is the ideal location to relax both mind and body. 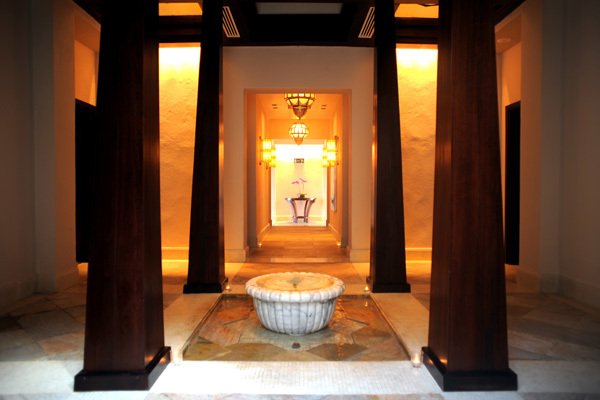 Escape to this retreat and let the exotic aromas and natural ingredients engage your senses as you begin your spa journey. 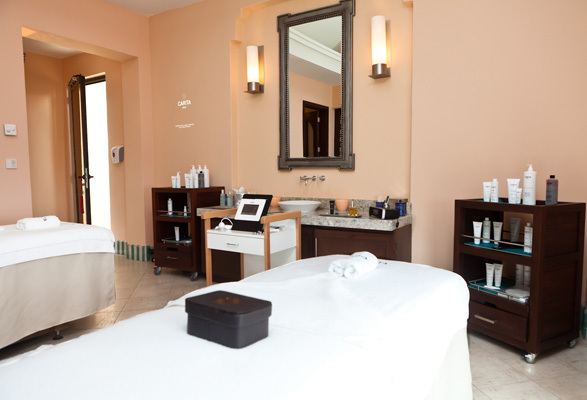 Experience hints of ancient Morocco treatments using excellent natural local products from the brand “Les Sens de Marrakech”. 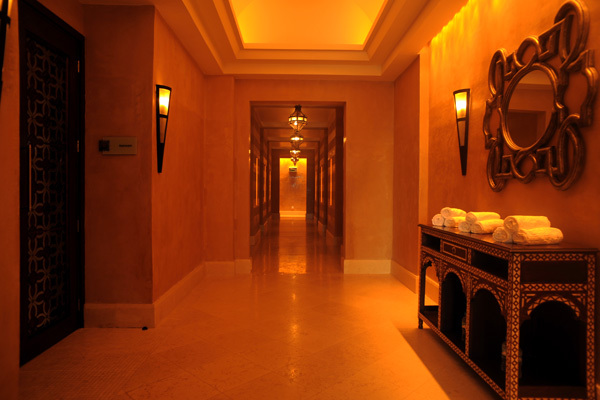 The Spa has 19 treatment rooms, including two double rooms and a luxury two-person suite with stunning ocean views. 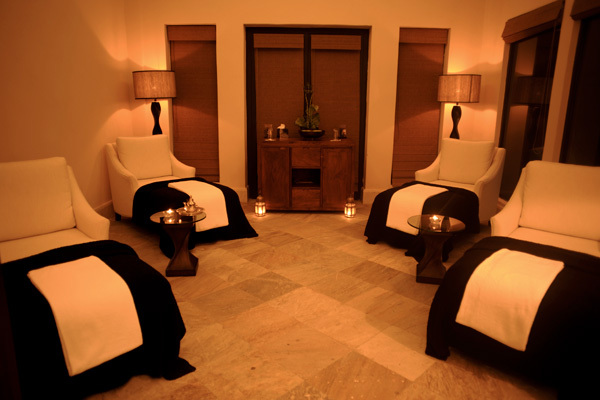 The suite offers couple treatments and private facilities such as a steam room and an outdoor relaxation area. 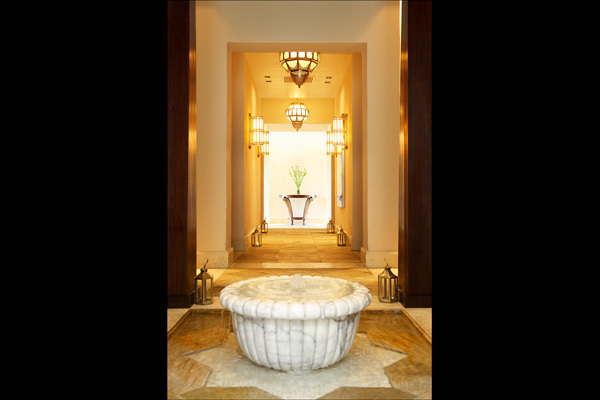 There is also a 100m2 authentic Moroccan hammam made from marble and includes a cool room and two internal steam rooms. 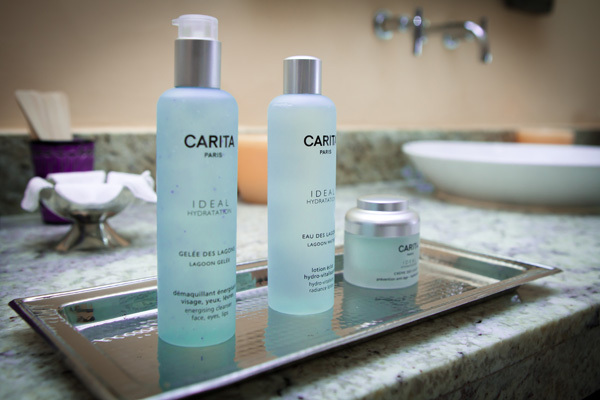 Every treatment at the Spa is a personalized experience that begins with a private consultation to ensure that each treatment is adapted to individual needs. 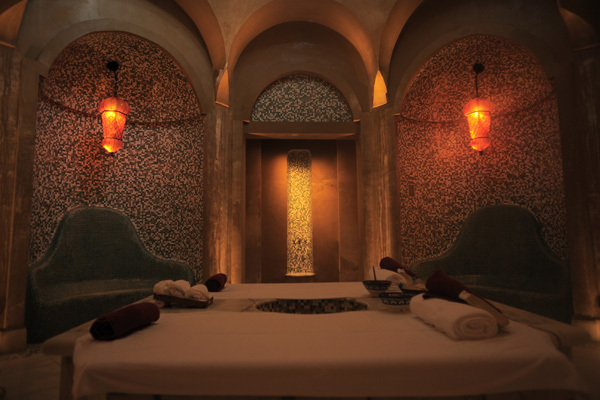 The advanced techniques are combined with nourishing oils from Morocco and mineral-rich mud including argan oil to create signature experiences for Mazagan Spa. 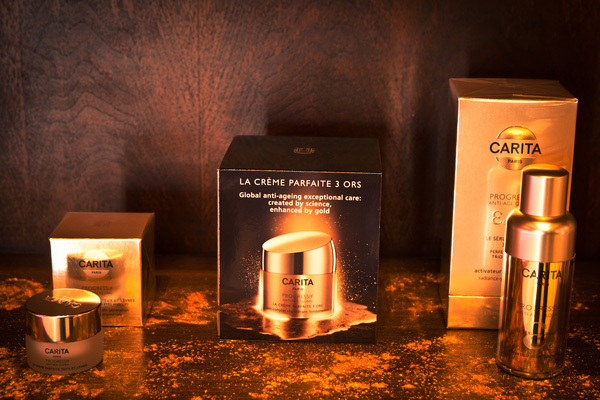 Mazagan Spa combines with “Carita – Paris” to deliver the perfect beauty experience. Attached to the Spa and with stunning views out to the ocean is a fully equipped Fitness Centre with TechnoGym equipment. 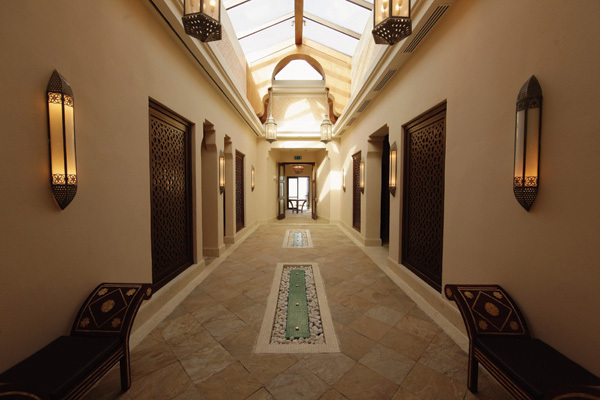 The fitness centre also boasts a separate Pilates as well as Kinesis machines and a free weights area.